The Vivo NEX A is a massive smartphone that the manufacturer has equipped with a powerful 4,000 mAh battery. But will a battery of this capacity make the Vivo NEX A an endurance athlete, or does the huge 6.58-inch display drain all the power? Our battery test answers this question. A large smartphone battery won’t help much if the integrated hardware and software aren’t adapted well. In the case of the Vivo NEX A, the hardware used actually indicates that the smartphone with the battery capacity of 4,000 mAh is designed to survive more than one working day. As always, when we test smartphones, the devices are given numerous benchmark results. These tests allow us to objectively compare how smartphones perform under the same conditions. You could almost say the data from benchmarks are analogous to performance tests on cars. But let’s get back to the Vivo NEX A and its battery life in PC Mark’s battery test. In short, the Vivo NEX A is clearly a disappointment. Despite the more energy-efficient Snapdragon 710 and the large battery, the cheaper Vivo NEX series model with 6 hours and 15 minutes of screen time cannot compete with the current top smartphones like the Galaxy S9, OnePlus 6, HTC U12+ or even the Huawei P20 Pro. If you then add upper-mid-range smartphones with Qualcomm’s Snapdragon 660, the disappointment is even greater. The Nokia 7 Plus also outperformed the Vivo Nex A, despite a slightly smaller battery, an older and more power-hungry processor and a different display technology. The reason can only be the sheer size of the integrated Super AMOLED display in the Vivo NEX A. It simply takes a lot of battery power to illuminate the 6.59-inch screen. In everyday life, the display of course isn’t used in the same way as it was for the entire duration of our benchmark test. Furthermore, every smartphone user has their own very individual usage pattern. In my case, I often watch YouTube videos and communicate intermittently via Messenger, Slack and WhatsApp. Of course, having messenger apps open in the background is also costly. In the evening, I play games like PUBG Mobile or Westworld. With active use between 7:30 a.m. and 12:30 a.m. (so 17 hours), I still had 20% charge left at the end of the day. The active display time was just over 6 hours. In order to extend the battery life, you can still choose between two energy-saving modes with the Vivo NEX. The low power mode reduces the speed of Qualcomm SoC, cuts all wireless connections besides the mobile connection, and turns off the display’s Always-On function. If that’s not enough, then you can activate the radical Super Power-Saving Mode, but then the smartphone is trimmed down to just a mobile phone with a huge display. At the end of the battery test, the only conclusion is that a large display, whether with AMOLED or IPS-LCD, always takes up a huge chunk of a smartphone's battery life. The Vivo NEX A simply cannot change this fact either. So, if you prefer long battery life to a large display when buying a smartphone, you should keep your hands off the Vivo NEX A. 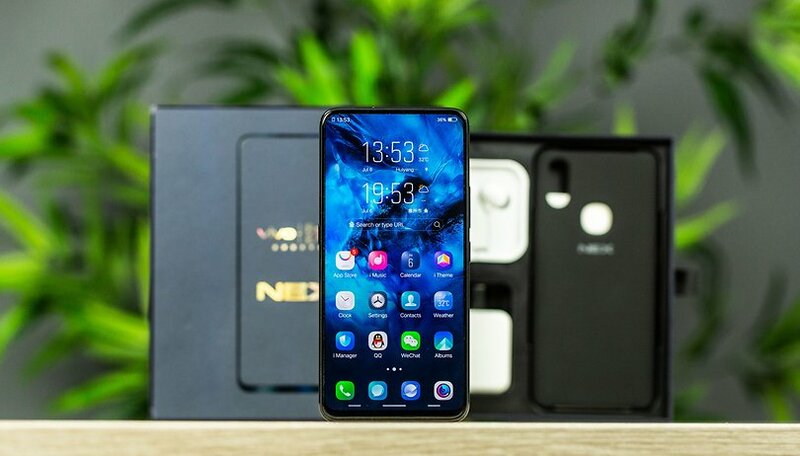 But, if you mostly want to enjoy content on a large smartphone display, then the Vivo NEX A is the right choice. all the new large screen phones with high resolution screens will have the same issue. I would like to see a comparison with the Nex S vs A model to see if the 845 chip does any better. The Nex will be here in the Philippines soon I might pick up the S variant with 256 megs of storage for the novelty of it.